Internet connection for access to Internet radio stations and online software updates (DSL, cable modem or LAN-based high-speed Internet connection recommended). PC running Windows 7 and higher. 500 MHz Pentium class processor or better. Latest Windows service packs recommended. The Sonos Controller Apps for iOS and Android have been re-designed to make it easier than ever to play the music you love today and discover the music you will love tomorrow. Sleek New Design: Effortlessly control your world of music with an app designed by and for music lovers. Touch the SONOS icon at the top to display the SONOS music menu. Touch the room name at the top right to display the ROOMS screen. Easily access Shuffle and Repeat from the queue pane. Access Crossfade and Sleep Timer from the Info & Options pane. 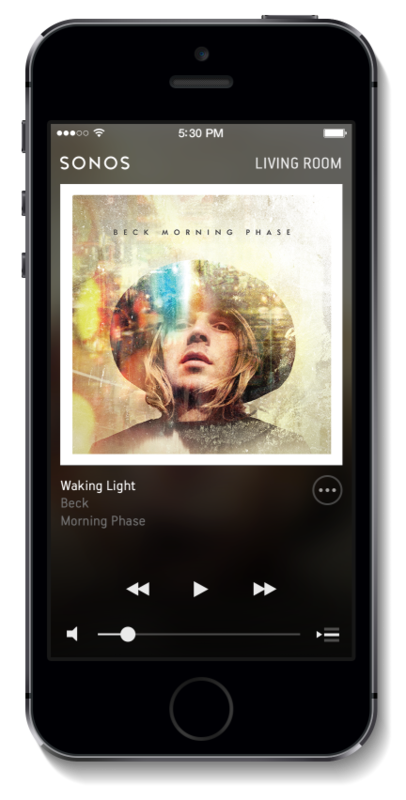 Using your iPhone, swipe to toggle between the Now Playing screen and the last place you browsed; using your iPad, drag and drop tracks or albums directly into the queue or the Now Playing pane. 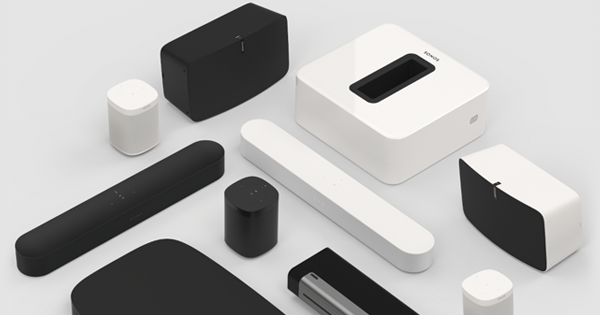 Explore Music Services: From popular favorites to specialized music services, Sonos makes it easy to browse our wide selection and discover new ways to explore the world of music. The More Music menu option has been renamed Add Music Services. The music service detail pages include descriptions of available services in your country. Universal Search: With this update you can now search across all of your music services at once to find and enjoy the music you love. For example, if you have three different music services installed, a search for the artist Beck now returns relevant matches for all three. You can quickly jump across categories with the tap of a finger. VoiceOver is supported on iOS7. If you have surround speakers connected to your Playbar, you can now change the surround setting for music playback (this setting does not apply to TV audio). 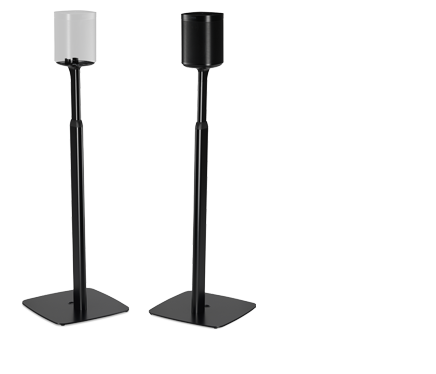 Choose from Ambient (default, subtle, ambient sound) or Full (new setting that enables louder, full range sound). 1. From the Settings menu, touch Room Settings. 2. Choose the room that has surround speakers connected, and then choose Advanced Audio -> Surround Settings. 3. Select either Ambient or Full. 1. From the Manage menu (PC) or Sonos menu (Mac), select Settings -> Room Settings. 2. Choose the room that has surround speakers connected, and then choose the Surrounds tab. 3. Select either Ambient or Full from the drop-down list. If you have previously installed the Sonos Controller for iPad, it is recommended that you uninstall the existing Sonos app before installing Sonos software version 5.0. For other devices, there is no need to uninstall before updating. Requires Android: 2.1 and higher. Certain features may require higher versions of Android. Mac running OS X 10.6.8 or greater. PC running Windows® XP SP3 or higher, Windows Vista™, Windows 7, Windows 8. 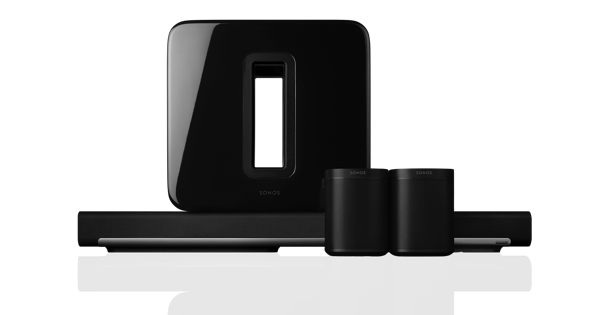 Why buy direct from Sonos? Free delivery and expert setup, as soon as today. What’s it like to get your Sonos up&running™? Available in select cities. Subject to appointment and product availability. Service may not be available for some products.